-With a Credit Card on our website, www.hawkinsspeedshop.com, 24 hours a day, 7 days a week. We accept VISA, MasterCard and American Express. For your protection, we security check all credit card orders. -By phone with a Credit Card at 1-800-443-7748 or 765-962-4927, Monday through Friday, 8:30 am to 5:30 pm, and Saturday, 8:30 am to 12:00 pm eastern time. If you get our voice mail please leave a callback number as well as the best times to return the call. -By mailing a personal check, cashier’s check or money order to: Hawkins Speed Shop, 116 SW 1st Street, Richmond, Indiana 47374-4136. 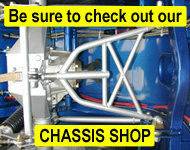 All prices shown on www.hawkinsspeedshop.com are in United States Dollars. Hawkins Speed Shop will add charges for shipping and handling, and sales tax if applicable to all orders. Presently, a 7% sales tax applies only for shipments within the State of Indiana. Customers in other countries also must pay any customs, duties or other fees and taxes associated with their order. Orders will be shipped through UPS. All shipments will include tracking information. Hawkins Speed Shop can only ship to valid addresses, we cannot ship to P.O. Boxes or rented private mailboxes. The customer is responsible for any loss or damage after the package(s) leaves the care of UPS. The receipt by you of an order confirmation via e-mail does not constitute Hawkins Speed Shop acceptance of an order. Prior to Hawkins Speed Shop acceptance of an order, payment verification is required. Hawkins Speed Shop reserves the right at any time after receipt of your order to decline your order if payment does not clear and/or is not approved. Hawkins Speed Shop reserves the right, without prior notice, to change prices on any and all Part(s) offered on the website www.hawkinsspeedshop.com without prior notice. All transactions are deemed to take place in the State of Indiana, United States. All disputed matters shall be subject, exclusively, to the jurisdiction of the appropriate courts of the State of Indiana, and governed by the laws of the State of Indiana. We want our customers to be completely satisfied with their purchase from Hawkins Speed Shop. If you are not completely satisfied, return the new/unused Part(s) in the original box(s) prepaid within 5 days of the purchase date. 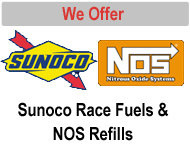 We do not accept returns on any Part(s) that have been used and/or installed and/or ran. We also do not accept returns on any Part(s) that have been modified and/or altered in any way after leaving Hawkins Speed Shop. You must contact us at 1-800-443-7748 or 765-962-4927 to advise us that you are returning your purchase and which shipper you are returning the Part(s) through. NO returns will be accepted without prior notice to our office. Send the Part(s) properly packaged, pre-paid and INSURED to: Hawkins Speed Shop, 116 SW 1st Street, Richmond, Indiana 47374-4136. Returns must be and include the exact Part(s) originally shipped to the customer. No COD or freight-collect shipments will be accepted. Credit will be issued for the Part(s) only. NO refunds on original shipping/handling charges of Part(s) to customer. Customer is responsible for return shipping/handling charges as well. Please make sure to INSURE your return shipment as Hawkins Speed Shop will not be responsible for any damage to Part(s) in return shipping.